Get expert advice on spinal injury claims with a free, no obligation consultation. There is no such thing as a minor spine injury. Even the smallest injury to the spine can have severe consequences that can be life changing, not just for the injured individual but also for their family members and dependents. You will face new barriers in doing simple activities that you once did automatically. Shopping, doing household chores, climbing into bed or stepping into the shower will now require a huge effort and some complex manoeuvring. Some activities may not even be possible. If there is anything worse than that, it is the fact that spinal injuries are almost never temporary. Most spinal injuries tend to have long-term, often lifelong implications for everyone involved. While nothing can make up for your suffering, filing a claim for compensation will at least ease the financial burden on you and your family and make life a little easier. Due to the seriousness of a spine injury and its resultant consequences, it is important to get the right spinal injury claims advice so that you do not lose out on your right to compensation simply because of a legal technicality. The most important spinal injury claims advice that you can get is to set things in motion as soon as possible and file your claim for compensation. The statute of limitations for filing a claim is 3 years, after which your case will not be entertained by the court. It can take a considerable amount of time to get all of the necessary paperwork in order and the sooner you get started, the sooner you can file and the higher chances of success. 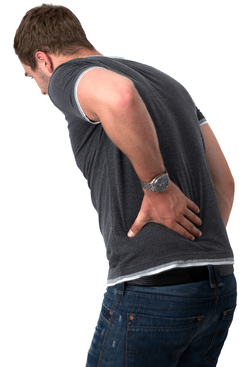 Filing a spinal injury claim on your own, without legal help is highly inadvisable. Even if your spine injury was caused because of an act of clinical negligence or the result of an accident and it was clearly the fault of the third party, you should still seek legal counsel. When you file a claim, you can expect strong opposition from the defendant who, even if they know they are at fault, will put up a fight to claim innocence or at the very least minimise the compensation. In either case, it puts you at a disadvantage. Experienced spinal injuries lawyers are fully conversant with the law and will explore every opportunity not just to fend off the defendant’s lawyers but also to get you the maximum compensation possible. You don’t even need to worry about how you are going to settle your lawyer’s fees. Most personal injury lawyers will take on your case on a “No Win, No Fee” basis. This means they will first evaluate the merits of your case and will only take it on if they think your chances of winning are high. They then work on gathering evidence and building your case and will represent you without charging you any upfront fees. If your claim is successful and after you’ve received the compensation, only then do you have to pay your lawyer the agreed upon percentage. This way you are never out of pocket and you really do not have anything to lose. Legal loopholes exist in almost all situations and exploring your options is never a waste of time. Even if you think you may perhaps be partly at fault for your particular injury it is still worth discussing the facts with a spinal injury lawyer who may find a way to get you at least some compensation that will help pay off some of your expenses. It may be intangible and it may be difficult to put a price on, but you should know that you also have a right to claim for your pain and suffering. Compensation claims for serious spinal injuries can be potentially valued at millions of pounds but only an experienced lawyer will be able to achieve the maximum amount due to you in the shortest possible time.